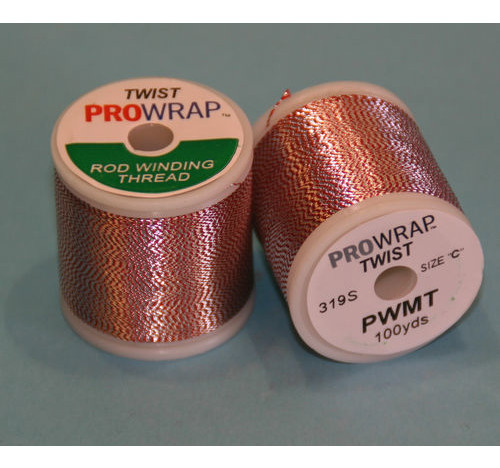 Where am I? 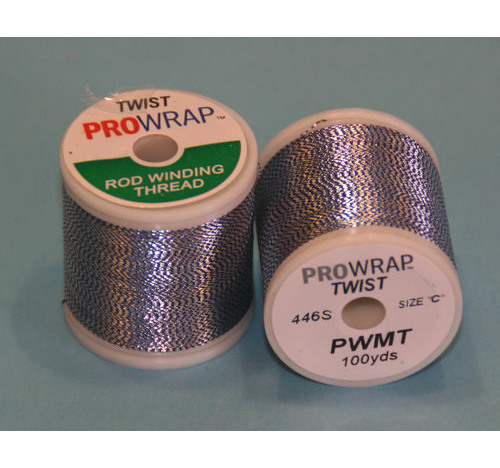 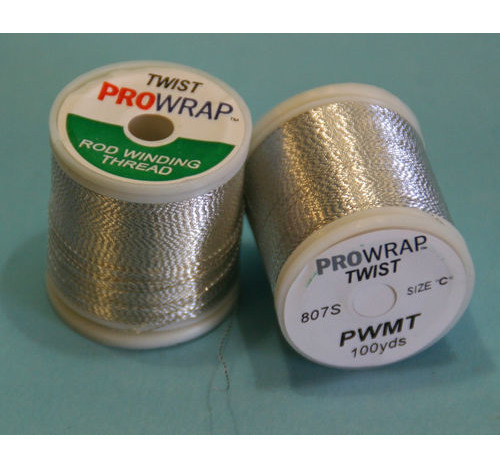 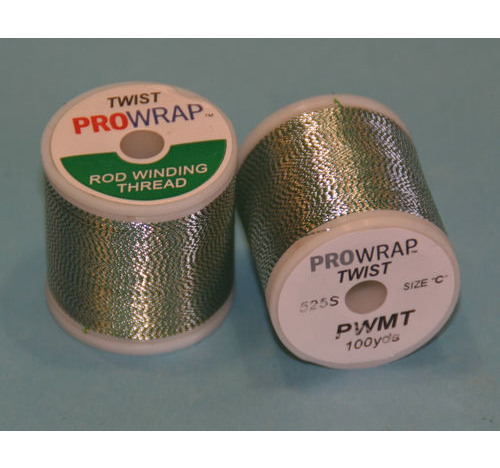 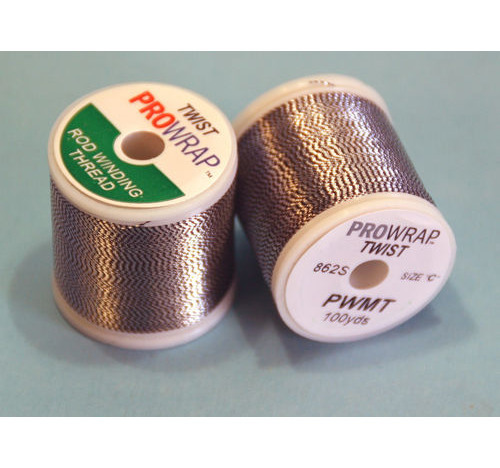 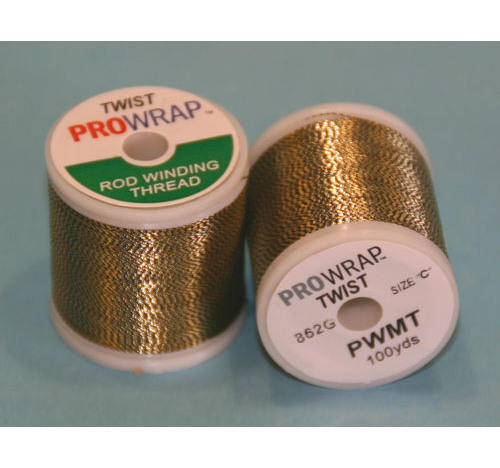 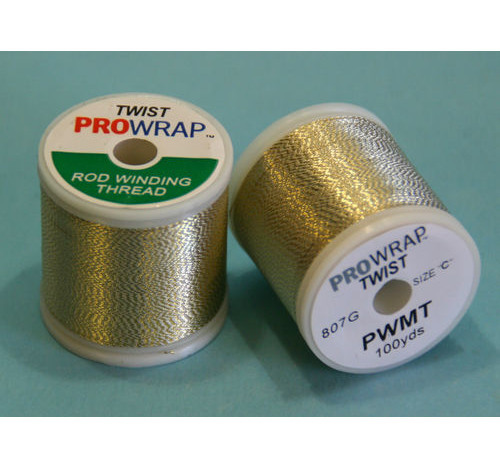 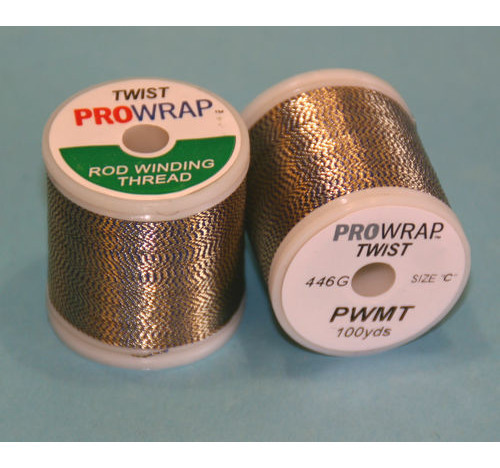 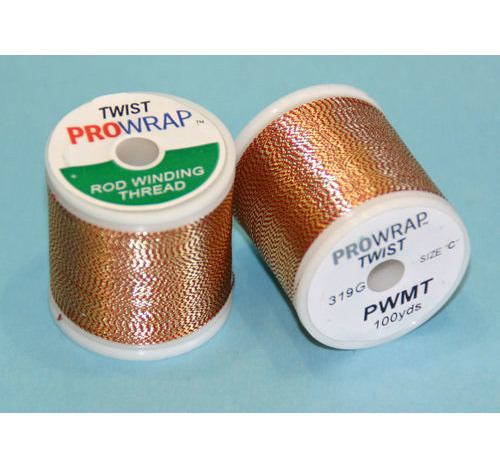 Home > Threads > Prowrap Metallic Twist Thread. 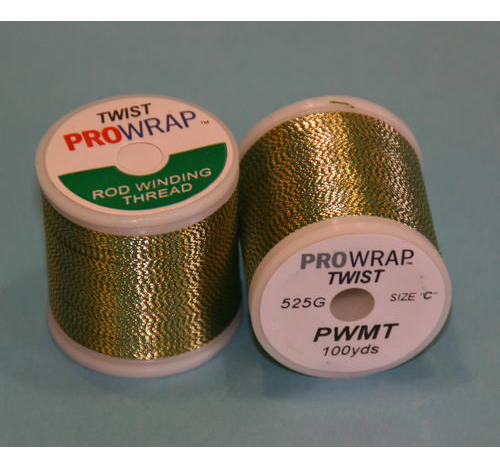 ProWrap Metallic twist Thread , is a unique blend of traditional nylon thread with a metallic twist to lend a distinctive brilliance of colour to custom rods. 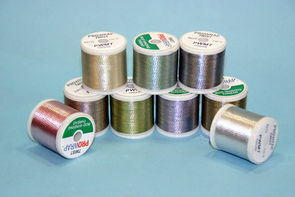 Size C 100yard spools. 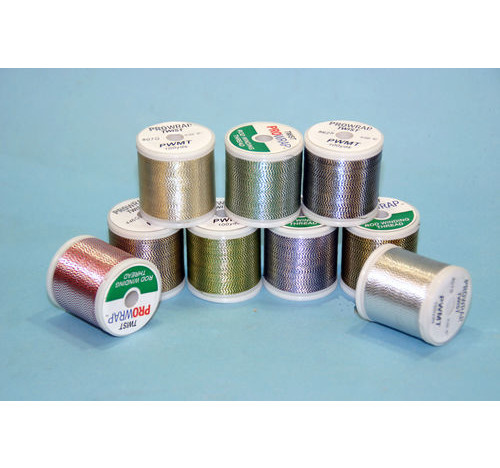 this is the alternative to Gudebrod Trimar Thread.